SABATTUS — After five years teaching in The County, LeAnn Fereshetian is back to her roots and behind the potter’s wheel. 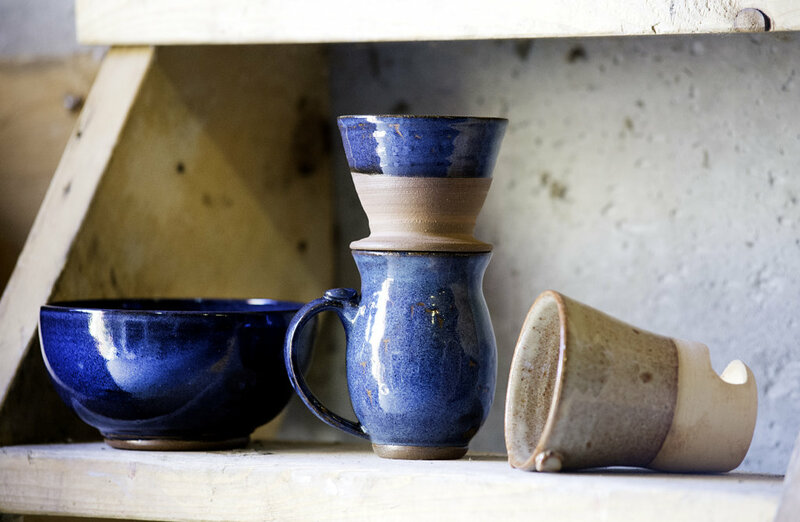 The 28-year-old started Meadow Muffin Pottery in October, hitting the craft fair circuit hard. 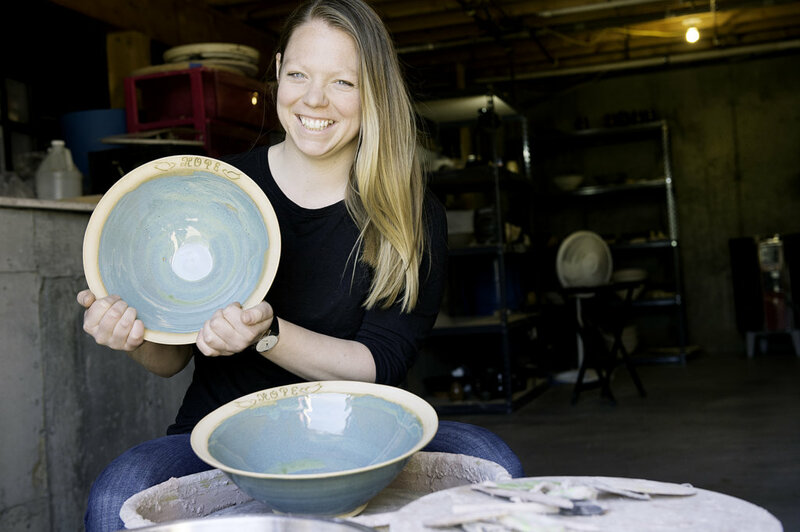 She’s behind the creation of commemorative, limited edition bowls for Trinity Jubilee Center’s 14th annual Empty Bowls Supper next month. Fereshetian grew up in Sumner and her husband, Justin, is from Turner. Both went to the University of Maine at Presque Isle. She took ceramics classes in high school, college and after graduation. 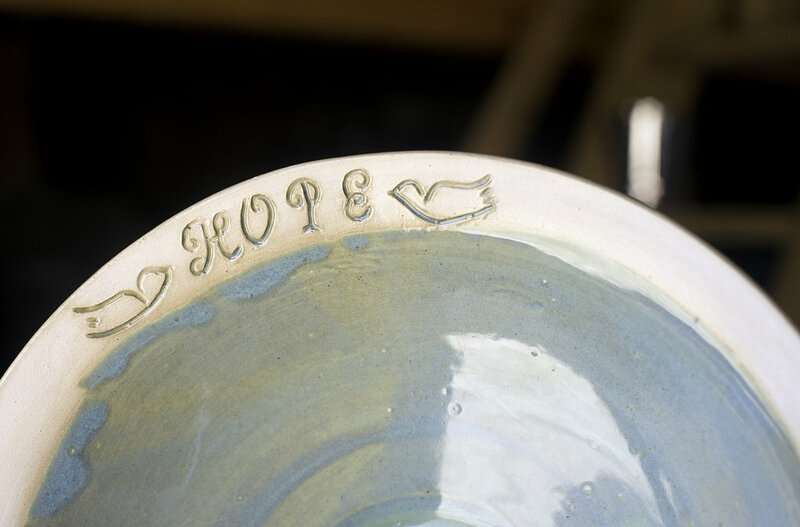 “I actually taught math for five years, so (making pottery) was kind of the way to keep my sanity while doing that, and then I decided it was what I really wanted to do,” she said. The couple moved to be closer to home last August, making sure they picked a house with prime workshop space. The racks in her shop hold delicate glazed mugs, a custom-order casserole dish, bowls and other pieces in different stages. One of her newer pieces: a coffee pour-over set with a little pottery sleeve to hold a filter and grounds and a hole to drip coffee into the mug below. She has a pottery speaker in the works that looks like a mug tipped on its side with little kickstand legs and a slit at the base to hold a cellphone. The sound echos and amplifies when played inside the pottery. That’s coming soon, as are, she hopes, lamps. Fereshetian said she loves to work in blues. She also gets custom orders for colors or adding a name. Prices start at $15 for a mug or cereal-sized bowl. She spends 30 hours a week making pieces in her workshop. For now, they’re only available in person; she plans to start selling online and hopes to someday have a brick-and-mortar shop. She’ll next be at the Spring Craft Fair in Richmond on Sunday and the Turnpike Mall Craft Fair in Augusta on May 5. Fereshetian keeps a schedule on her Facebook page. She’s learned at the fairs that her company name serves as a bit of an icebreaker. “Meadow Muffin” is slang for cow poop. “I did grow up on a farm so it does pay a little bit of tribute to my background,” she said.